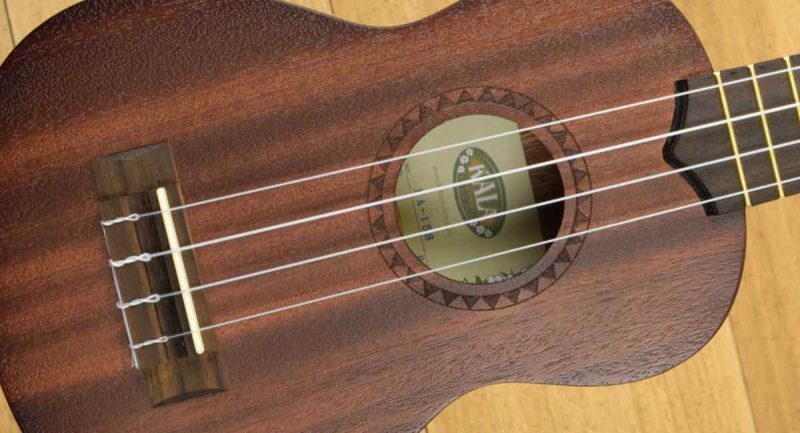 Kala’s KA-15S soprano ukulele is one of the most popular budget ukuleles on the market. With over 2,000 5-star reviews on Amazon it’s a clear crowd favorite, but is it the right uke for you? If you’re in a hurry, check out the review summary below.​ Otherwise, keep reading for my full review of the Kala KA-15S ukulele. For this review, I purchased a brand new KA-15S online. My impressions are based on an “out of the box” uke with no tweaks or adjustments of any kind. All pictures are of the actual KA-15S I used for this review. ​I wasn’t sure what to expect from the KA-15S, but after spending some time with it, I think this uke is a great overall value and a natural choice for any budget-conscious player. The KA-15S is a well-made entry-level uke that looks good, sounds great, and is easy to play. 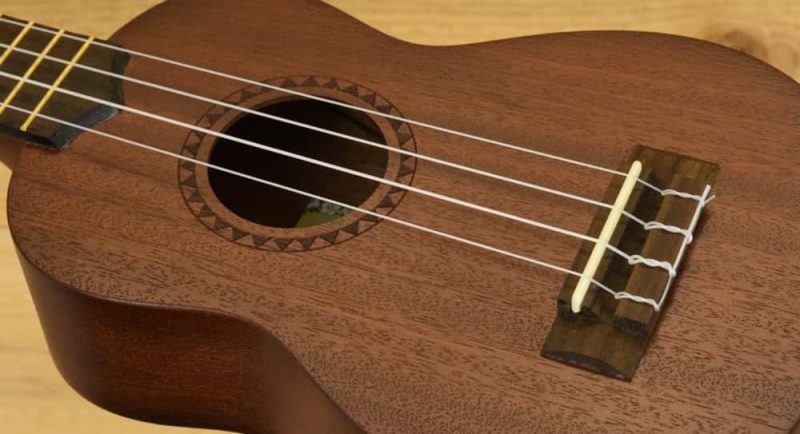 It’s a good choice for beginners seeking a respectable starter uke, but it’s also a great option for seasoned players in search of an affordable second instrument. The KA-15S is available in a handful of different styles, including the spruce-topped KA-15S-S and the Hawaiian-themed KA-15S-H1. Due to the popularity of the KA-15S, Kala has released a concert and tenor version of this model–the KA-15C and KA-15T. These larger body sizes are going to be louder, fuller, and generally just “bigger” sounding than the soprano-sized KA-15s. Some people may also feel more comfortable playing the longer fingerboards on these larger sizes. While I haven’t played these models, I don’t see why the build quality would be any different for these two larger sizes. Kala has developed a reputation for building great ukuleles at affordable price points, and the KA-15S is no exception. The KA-15S has a clean look and a tight, solid feel. The build quality is far better than the cheap ukes you’ll find in the $20 to $40 range. In fact, I think the craftsmanship is better than some of the more expensive offerings from other brands. The KA-15S is a very well-built uke for the money, but it’s important to have realistic expectations for an instrument in this price range. If you buy one expecting flawless craftsmanship you might be disappointed. It’s not unusual for less expensive ukuleles to have some rough edges, glue squeeze-out, finish imperfections, etc. These are simply the compromises manufacturers have to make to offer an instrument at a price this low. While the craftsmanship on the KA-15S is surprisingly good for the price, it’s not 100% perfect. The important thing is that it plays well and sounds good, which it does! 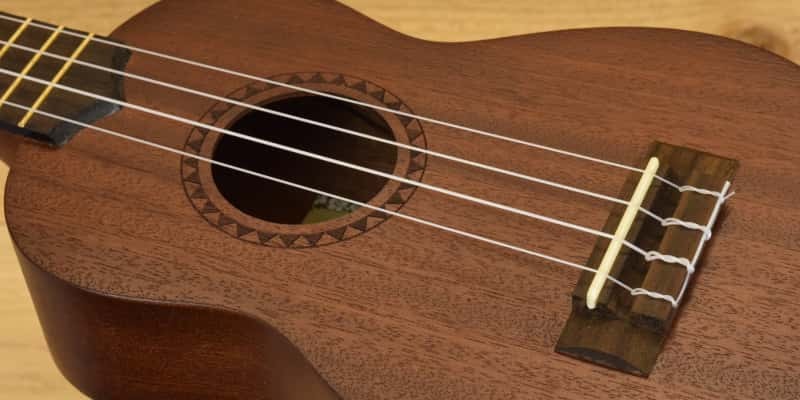 Based on my experiences with other inexpensive ukuleles, I honestly wasn’t expecting much from the KA-15S–but I have to admit I was pleasantly surprised with how well the uke played right out of the box. The action was low and even, making it a dream to play. I usually find myself making some minor adjustments to many ukes when I first get them, but the KA-15S didn’t need any tweaking. Playability was good up and down the neck, and I didn’t experience any buzzing or high frets. The KA-15S has a sweet, warm tone that really took me by surprise. Compared to other budget soprano ukes I’ve tried, the KA-15S has a lot more bass, volume, and resonance. In fact, I’ve played much more expensive ukes that didn’t sound this good. There’s always going to be a limit to how much sound a tiny soprano uke like the KA-15S can produce, but this little uke is very impressive (especially considering the price point). 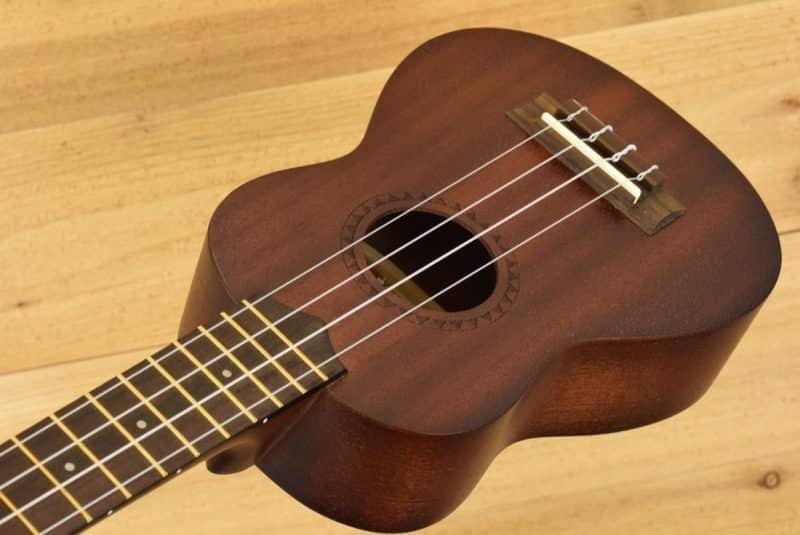 Many budget ukes have a tone that is thin, weak, and generally “dead.” This is often due to their heavy construction, thick finish, and cheap strings. I think the KA-15S avoids these pitfalls thanks to its light build, minimal finish, and high-quality Aquila strings. 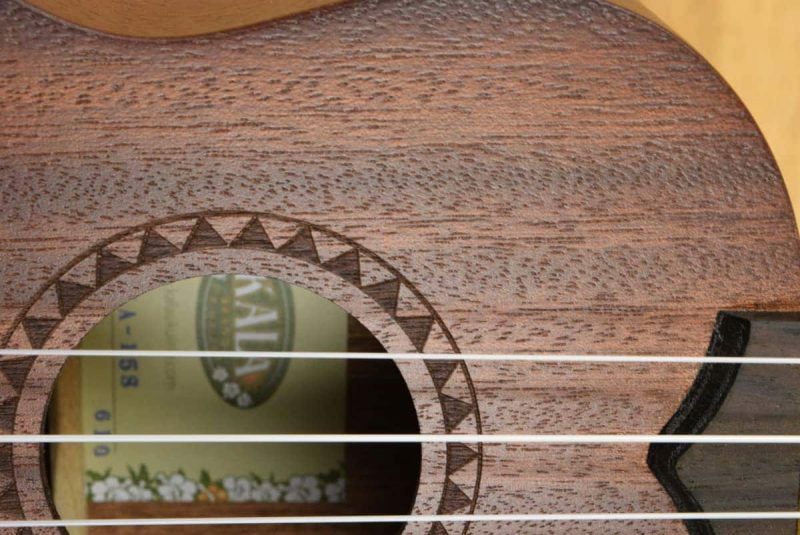 The KA-15S has a light matte finish that gives the uke a beautiful natural look. You can see and feel the texture of the wood, but it’s still smooth to the touch. While some might say the finish has a somewhat “raw” appearance, I think it looks great. In my opinion, it’s far better than the thick, plasticky finish found on many other budget ukes. The light finish also allows the ukulele to resonate more freely, which helps tone. The thick finish on other beginner ukes can dampen the tone and make them sound dead and tinny. A light sunburst finish on the body, neck, and headstock give the KA-15S some real character. I like how the shading is subtle and doesn’t cover the natural appearance of the wood. The laser engraved rosette is another nice touch. Normally, I’m not crazy about blasting an instrument with lasers, but the minimal rosette looks great and dresses up the uke without going over the top. 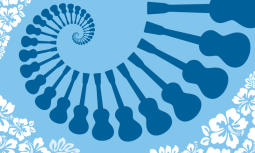 There are three primary ukuleles sizes: soprano, concert, and tenor. 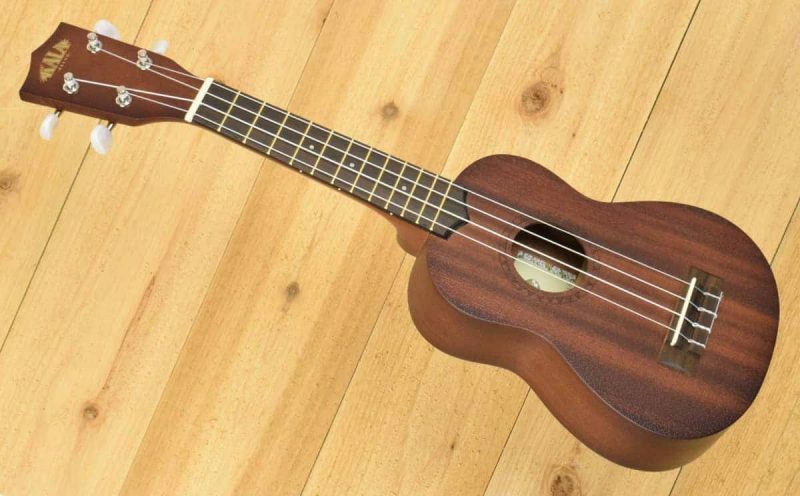 The KA-15S is a soprano-sized ukulele, which is the smallest of the three sizes at only 21″ in length. Soprano ukes are compact and more affordable than the larger sizes, but their tone tends to be a bit more “tinkly” and treble-focused compared to bigger ukes. This doesn’t mean that soprano ukes sound bad. As I mentioned earlier, the KA-15S has a great tone for a budget-priced soprano uke. However, soprano ukes generally have less bass, sustain, and volume than the larger sizes, so if you want a more robust tone you may want to consider a concert or tenor. Soprano ukuleles can also be a little harder to play for folks with big hands or thick fingers. This is because the frets (metal bars on the neck) are closer together, so there’s less room to maneuver on the fretboard. That being said, many players with large hands adapt to the smaller fingerboard and can play them just as easily as the bigger sizes. If you think you might need a larger size, check out the larger KA-15C (concert) or KA-15T (tenor) models. Like all Kala ukuleles, the KA-15S comes from the factory with Aquila Nylgut strings. Many ukulele players agree that Aquila Nylgut strings are among the best-sounding ukulele strings you can get. They have a warm, sweet, harp-like tone and will improve the sound of nearly any instrument. The KA-15S comes with basic open-gear tuners. 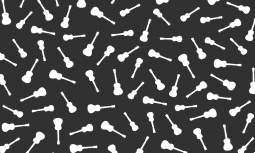 They’re tight and accurate, which is all you really need from a tuning machine. Many ukes in this price range have tuners with cheap plastic washers around the tuner posts that are ugly and tend to rattle around. 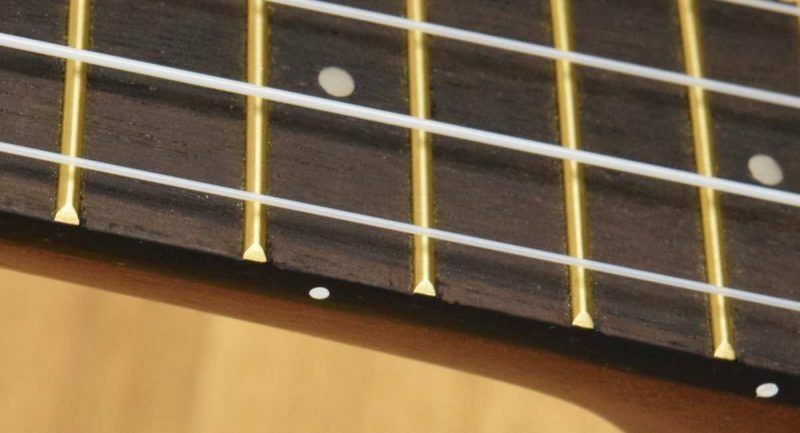 The metal washers (more commonly known as grommets) on the KA-15S are another nice touch that you don’t usually see on a budget uke. When reading customer reviews of the KA-15S, you may come across complaints that the uke won’t stay in tune. These comments drive me crazy because it has nothing to do with the tuners–it’s actually the strings! Ukulele strings are, by design, very soft and stretchy. 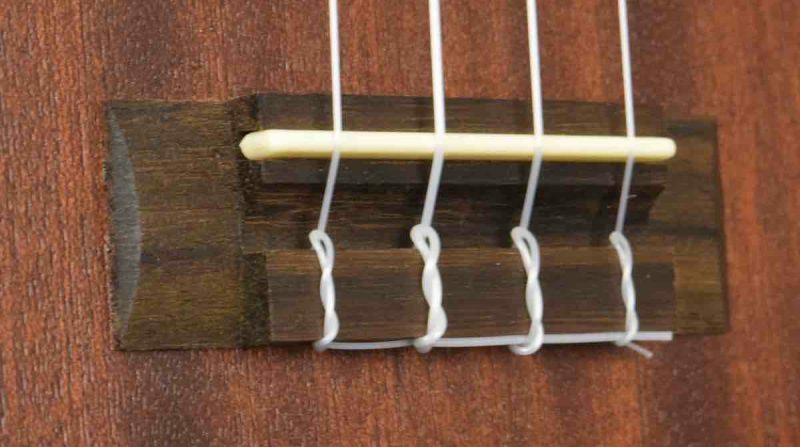 They have a long “settling in” period where the strings will need to be tuned over and over until they stabilize. You can learn more about this in my article on why a new ukulele won’t stay in tune. The KA-15S has a nut and saddle made from a material called NuBone. This is a synthetic material that is hard and dense, which is ideal for stringed instruments. Many inexpensive ukuleles have plastic nuts and saddles. Plastic is cheap, but it’s relatively soft and doesn’t do a good job of transferring string vibration to the top of the instrument. This is one area where Kala probably could have “cheaped out” without many people noticing. In my opinion, the fact that they chose quality over making an extra couple bucks says a lot. GraphTech, the company that produces NuBone, also supplies nuts and saddles to top companies like Martin, Taylor, Gibson, Godin, and more. Considering the price tag, the KA-15’s fret work is very good. The frets were finished nicely and didn’t stick out past the fretboard, which can be an issue with less expensive ukes. I also didn’t notice any high or low frets​, another common problem with entry-level instruments. The frets on a KA-15S are brass. 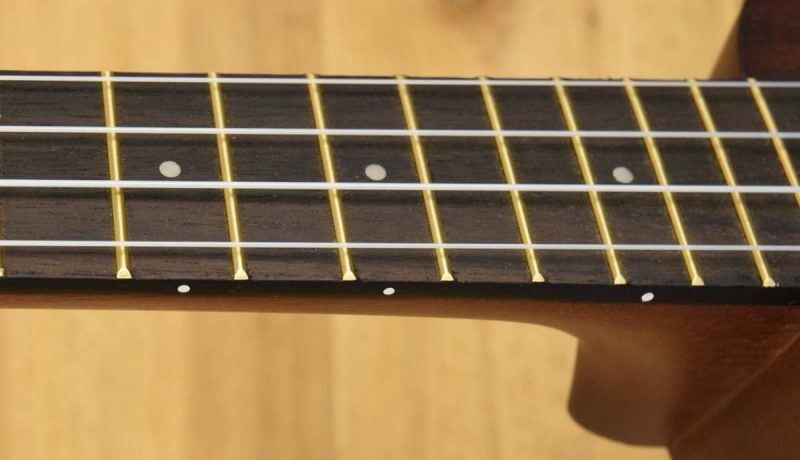 While brass is a poor material for guitar frets, the strings on a ukulele are so soft that it would probably take years before you’d notice any kind of fret wear. Kala produces two other soprano ukes that are very similar to the KA-15S: the KA-S and the Makala MK-S. The KA-S costs about $20 more than the KA-15S and doesn’t add much beyond the white binding on the edges of the body. The MK-S is about $5 less than the KA-15S, but I don’t think it’s worth saving that money due to the downgraded tuners and the cheap plastic nut and saddle. Those shopping for a quality beginner uke at a reasonable price point will have a hard time finding a better ​choice than the KA-15S. The build quality, playability, and tone are better than many other ukes I’ve tried at this price point. While I can recommend the KA-15S without hesitation, players in search of a bigger tone or slightly easier playability may want to consider the larger KA-15C (concert) or KA-15T (tenor) models.